The first day of a four day test at Misano today (February 21) saw the Pirelli wets in action – all day. The weather varied between light drizzle and heavier rain throughout the day. 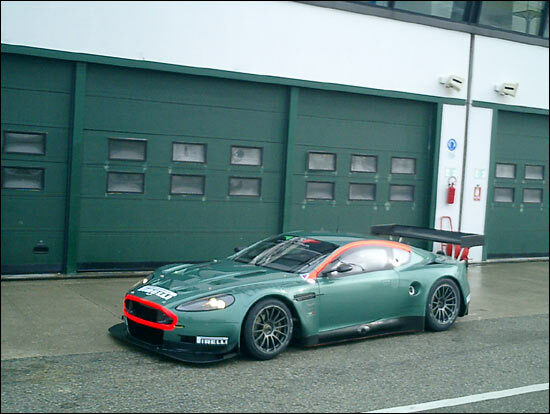 Present were the pair of BMS Scuderia Aston Martins (Jamie Davies, Fabio Babini and Matteo Malucelli driving), one Autorlando Porsche 911 GT3-RSR (Marc Lieb and Joel Camathias), the 2005 Biagi / Babini Vitaphone Maserati MC12 (Andrea Bertolini and Fabrizio de Simone) and a GT3 Maserati Light, fitted with a sequential gearbox (de Simone and Iradj Alexander David). Fabrizio de Simone, Maserati Light – 1:51.3.
solutions in view of Maserati future racing plans". Maserati refers to the sequential gearbox as a "modified transmission". 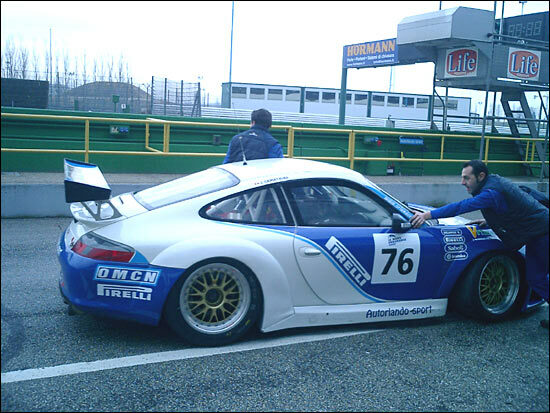 Gianni Giudici also drove the car. 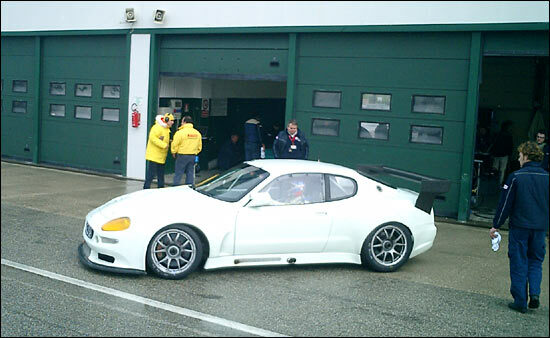 Wednesday should see the presence of GPC, while Thursday and Friday are likely to have the PlayTeam SRL team at the track, with its Italian GT cars - the MC12 (Toni Villander and Pier Giudi) and the familiar blue Ferrari 360 (Maceratesi and Tedoldi) - plus Cadei and Giannocaro in a brand new Ferrari 430. Perhaps another FIA GT team too? With thanks to our man in the know in Italy.